The Island Poetographer VivaVoce: February! 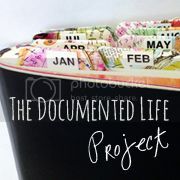 And the Documented Life Project/BOD2014 continues..
February! And the Documented Life Project/BOD2014 continues.. I have finished doing January's weeks in my Planner and it's a good thing that I moved everything over to my trusty Green Leather 3 ring binder as there was NO way that a simple composition book would accommodate all the 'extra bits' I have shoved (and will be shoving) into it! As it is, I am only keeping 3 months at a time, so it is much lighter and easier to handle. Nothing is more annoying than bits and pieces falling out when you try to open it! I think my Planner is related to Fibber McGee's Closet! 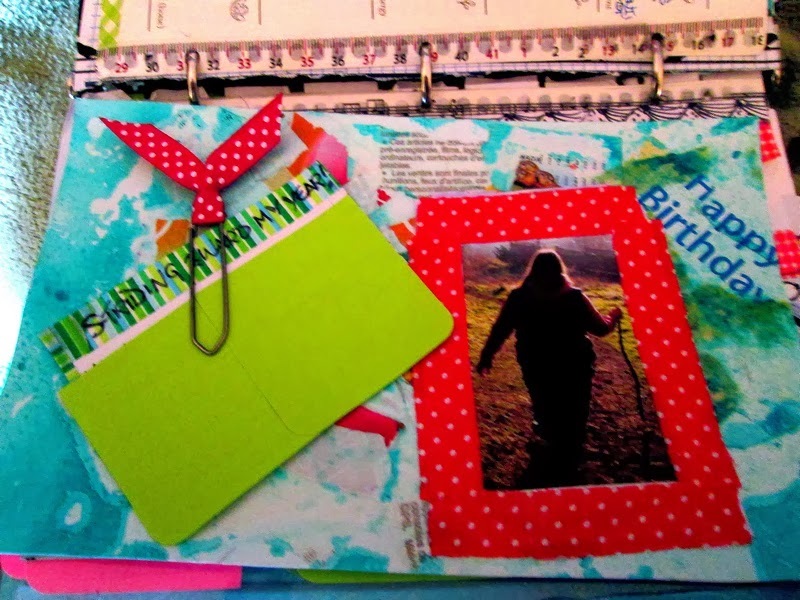 As Part of the BOD2014 project (see previous post or click on the Effy Wild badge on the sidebar) the phrase 'What Was Beautiful About Today' was added to our Journaling prompts. During the day I may not remember to scribble down all the minutiae of my happenings, but so far I have managed to (star*} the 'Daily Beauties'. 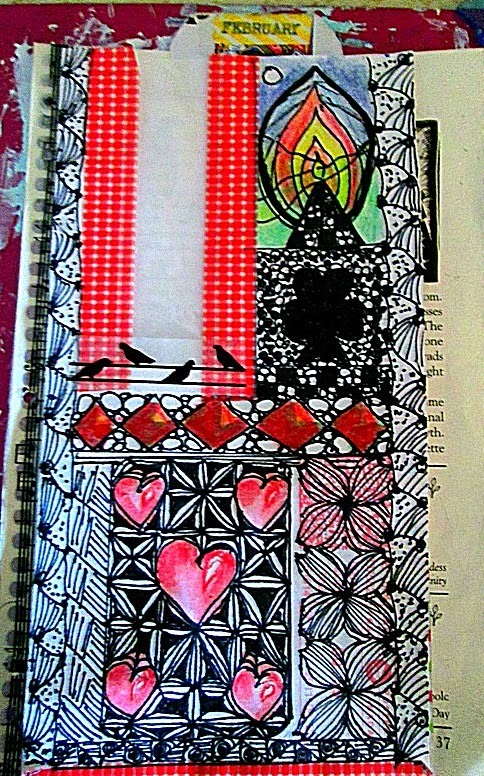 At the end of January I had a sheet full! 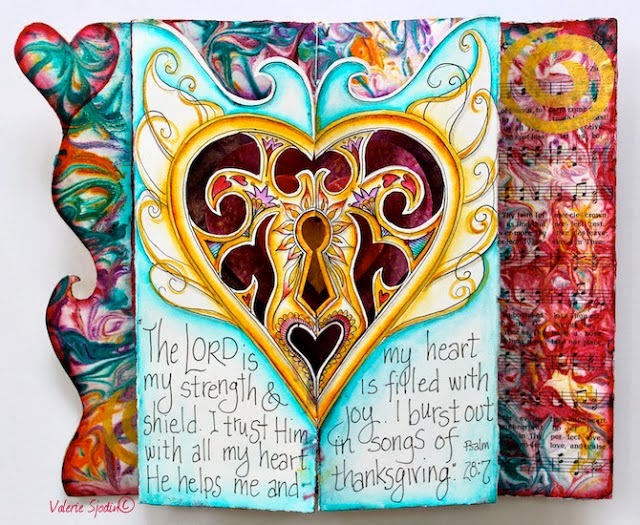 I am hoping to take the time during my upcoming Birthday Retreat Weekend to make a nice colourful insert; perhaps along the lines of what Valerie Sjodin does. I had taken her Edges and Embellishments course a while ago and have been wanting to put what I learned into practice. February this year has started out with amazingly bright sunshiny days but bitter cold temps as the thermometer hovers around 0c during the day and then plummets to -5 or more during the night. 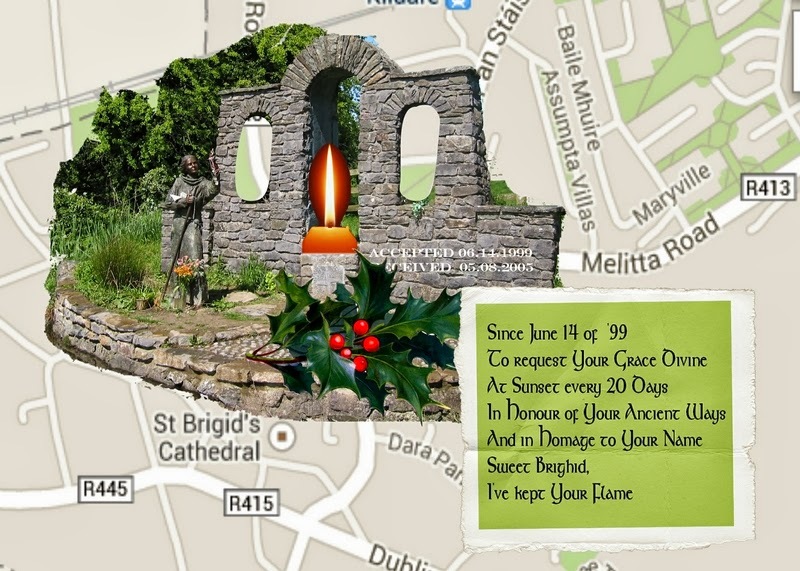 A photo collage of Brighid's Well in Kildare Ireland. Brighid is very special to me especially since She and I share February Feast Days. 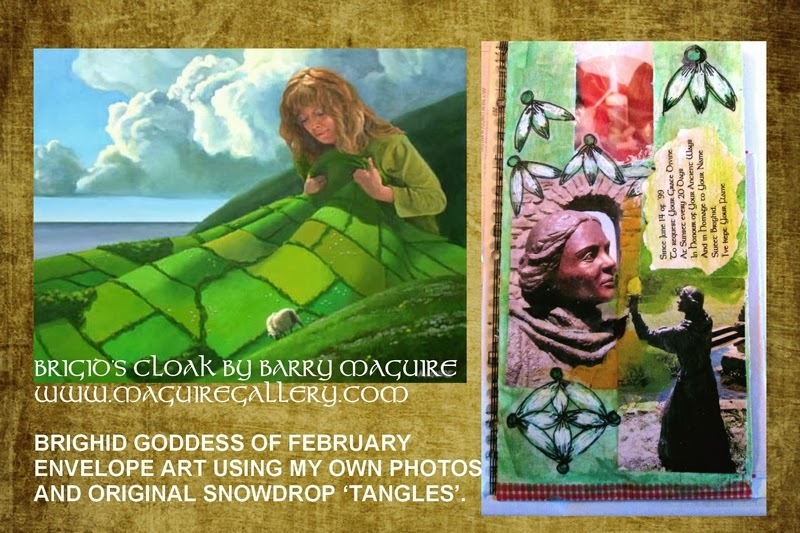 DLP Week 6 - From my Pinterest Board Brighid Goddess of February: Inspired by Brighid - a photo collage of my Kildare Ireland shots. Brighids Brightest Blessings to all on here who view this, especially during Her month of snowdrop strewn February!